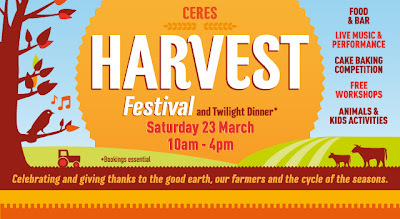 The annual CERES Harvest Festival is on again and we are having a big dinner to celebrate. 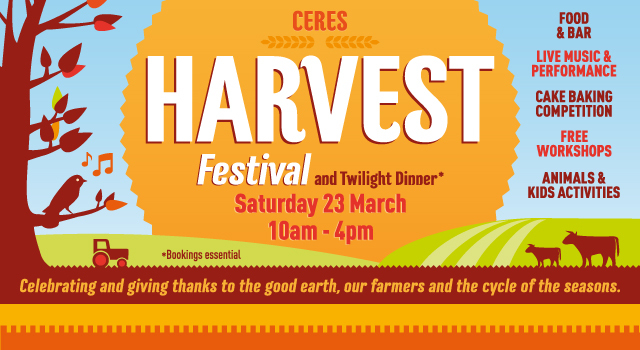 We invite you to come along and share in the season's bounty at our Harvest Twilight Community Dinner. Listen to some live acoustic tunes as you enjoy a 3 course organic feast prepared by our 7 Stars team. There will also be delicious organic drinks available from the bar. Please forward amongst your family and friends.